What’s on at Coventry Village! 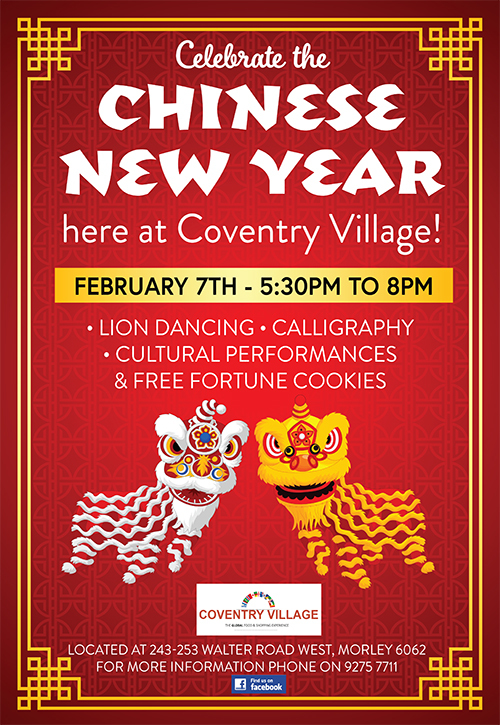 Celebrate the Year of the Pig at Coventry Village! Join us on Thursday 7th February 2019 for this FREE family-friendly event from 5.30pm. Follow Us on Facebook & Instagram! © 2019 Coventry Village.